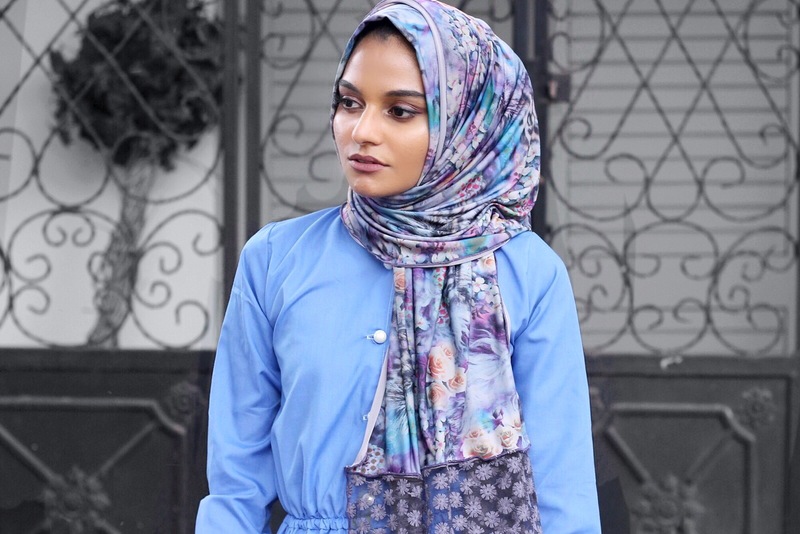 So for this lookpost, I teamed up with the amazing and super sweet sibling-duo, Sabeena and Jehan, of My Online Souk, retailers of modest fashion pieces and gorg hijabs, and created an OOTD based on a Diamanté-branded, floral scarf that they sent to me. 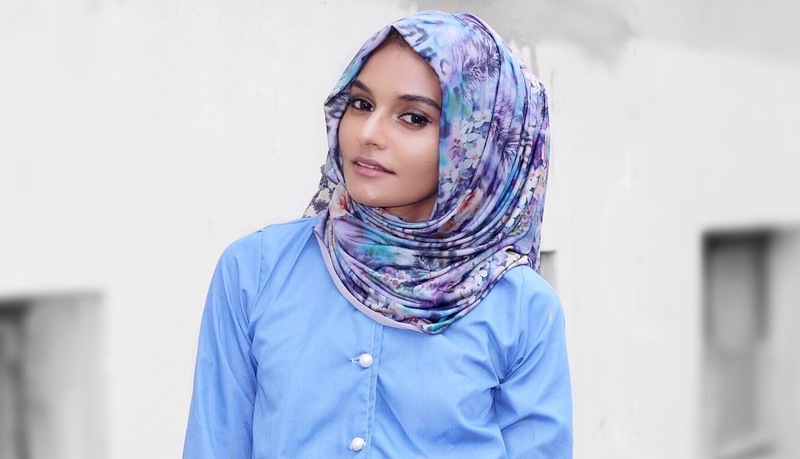 The scarf is made from a Lycra stretch fabric which basically means that it is super lightweight, breathable and perfect for summer! 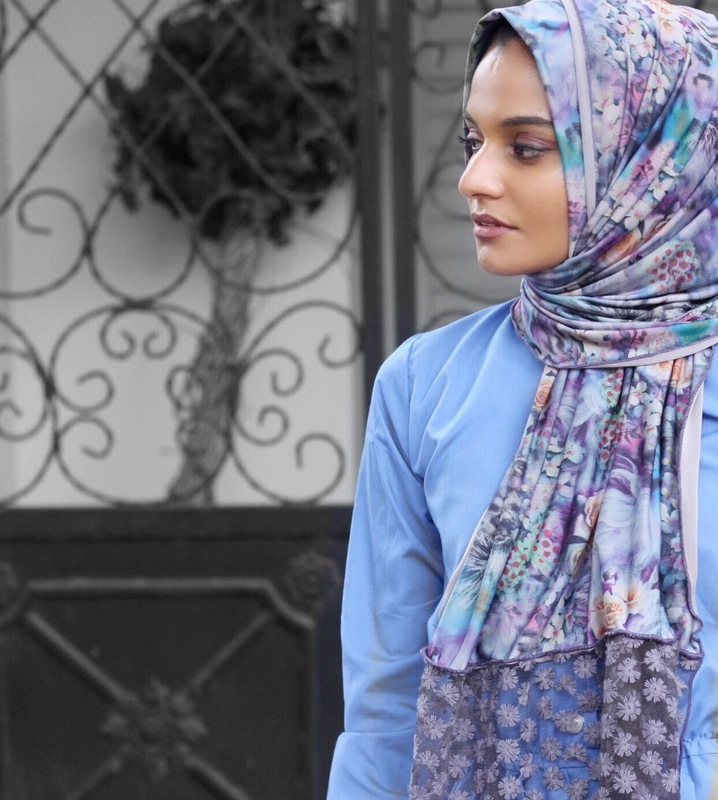 I love how easy this scarf is to style and the lace detail is super neat too! And even though I love how summery this scarf is and how pretty the lace is – my favorite attribute of this scarf has to be the fact that it can be worn both as a floral scarf, like it’s meant to be, or as a plain gray scarf, which is perfect for those who tend to veer more toward solid scarves than printed ones! 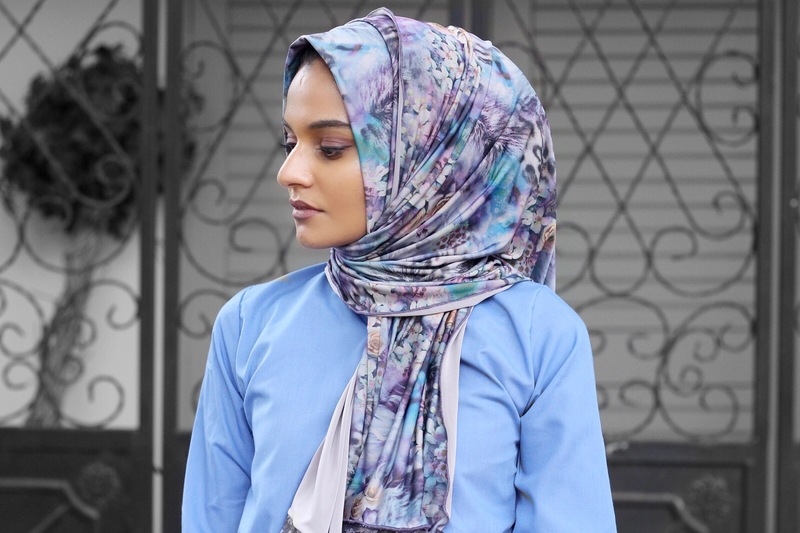 Also be sure to check out My Online Souk on IG here and their website here for all of your modest fashion needs!